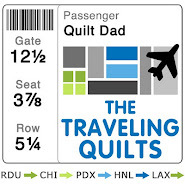 Quilt Dad: Guess who's in the new Modern Blocks book? Guess who's in the new Modern Blocks book? I am so excited to announce that I'm going to be featured in my second title with Stash Books. 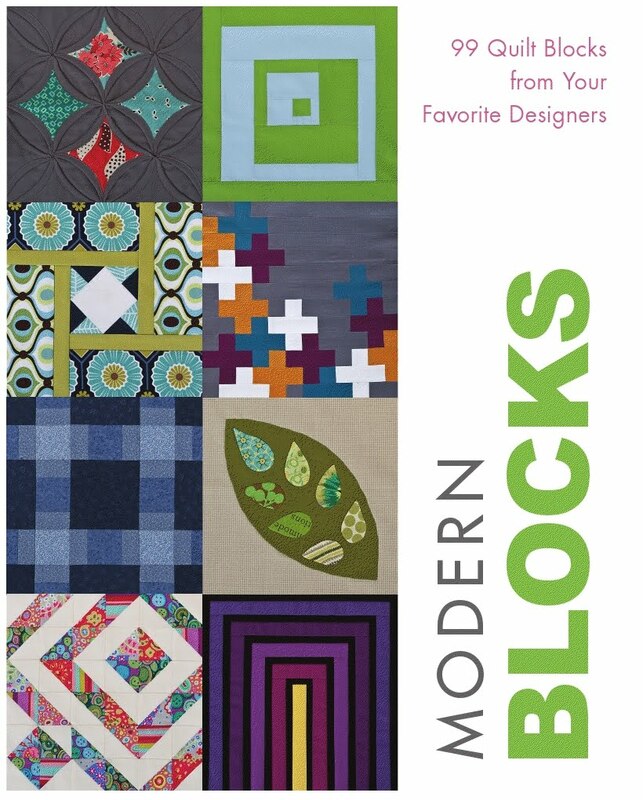 I had a blast working on the Moda Bake Shop book, Fresh Fabric Treats, and can now announce that I am included alongside many other talented quilters and bloggers in Modern Blocks: 99 Quilt Blocks from Your Favorite Designers. 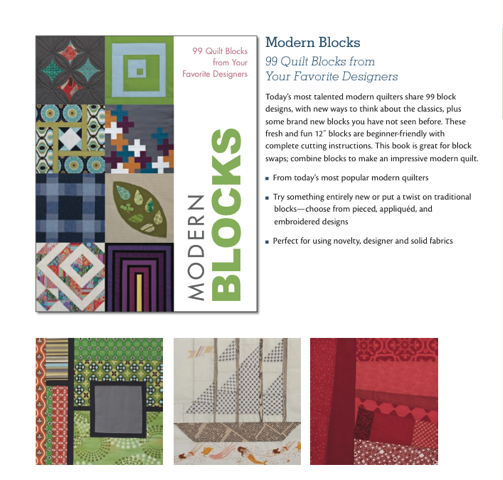 This book is as straightforward as it sounds: nothing but block patterns, and lots of 'em. 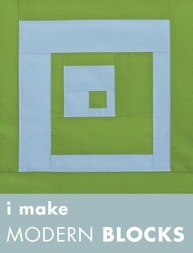 All of the blocks are designed to be 12", which makes this book a great resource for anyone making sampler quilts or participating in quilting bees. My block's not on the cover and I'm not able to share it just yet, but the book is scheduled to be released in October 2011 ... which seems far away, but is right around the corner. I can't wait to see the other 98 fantastic blocks in this book! This book looks great! Some of the others that have come out lately have had a few cute projects, but not enough for me to purchase them. This one looks like a "must add to my collection!" tho! Thanks for sharing a little peek - excited to see your block! Looks like a great book. Congratulations, John! This is going to be a GREAT book! Congratulations, John! I'm looking forward to seeing all the contributions. Waiting for this one to hit the shelves impatiently! I'm also a contributor and can't wait for the book to be released! SO excited for this new book! It sounds great! Congratulations! Looks like a great book! Yeah. That's great. I will watch for the book to come out. Congrats! Looks like a great book and a must have. Congratulations, John!! What a coup!! 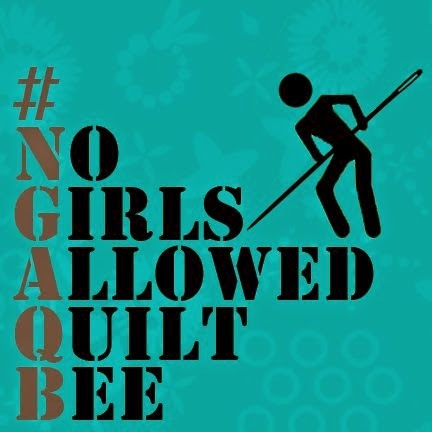 PS - the Off-The-Grid 9-Patch I made using your pattern is showing up on QuBee Quilts' blog today - I credited you in the comments! How cool! Congrats! I saw the preview of this book, and I was already anticipating it. I recently came across your blog this year. I love it. This book loods amazing and october?! That seems like foreeeeever. Congratulations are in order again, first the house, now a book, what's next!!! Can't wait to take a look at this book. Awesome John! The book looks really intriguing. Can't wait to see your block! This is great! I can't wait to see it. Congrats! Look how far you've come in the last 3 years! When I had to keep bed because of a fever I read your blog back to front, starting in 2008 and finishing in 2011. I admire your confidence to tackle new and intimidating projects (like paperpiecing :o)). Amazing how your skills improved! This book is another proof! Happy sewing in your new home.